Description is written per panel. A click on the panel will bring up a larger image. Use your back arrow to return to this page. The Pleistocene, or Ice Age, spans a period of time from 2 million years ago to about 10,000 years ago. During this time, enormous glaciers advanced and receded many times as the climate warmed and cooled. A sheet of ice hundreds of feet thick covered Grundy County 20,000 years ago. About 12,000 years ago temperature increased, ice melted, and the edge of the glacier retreated to the north. Raging floods of late Ice Age meltwater carved a new Illinois River valley and shaped nearby Buffalo Rock and Starved Rock. Vegetation on the newly exposed land changed as the climate warmed and the ice retreated. 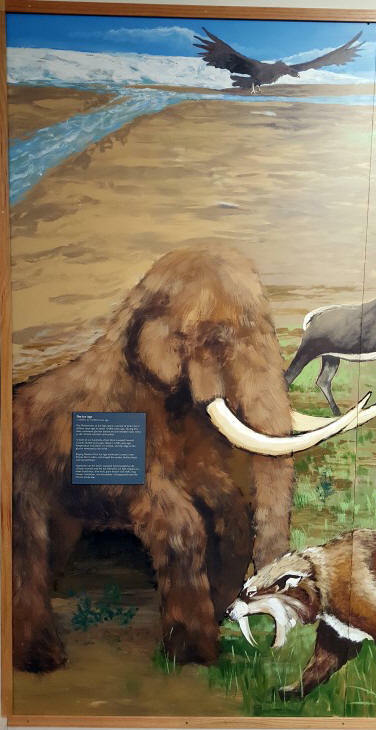 Ice Age megafauna--short-faced bear, dire wolf, giant beaver and sloth, stag moose, mastodon, and mammoth--disappeared from the Illinois landscape. The Ice Age was followed by the Holocene or recent period of earth history, which began about 10,000 years ago. Asians migrated to the Americans about 13,000 years ago as the Ice Age was coming to an end. The First Americans, or Native Americans, were few in number. 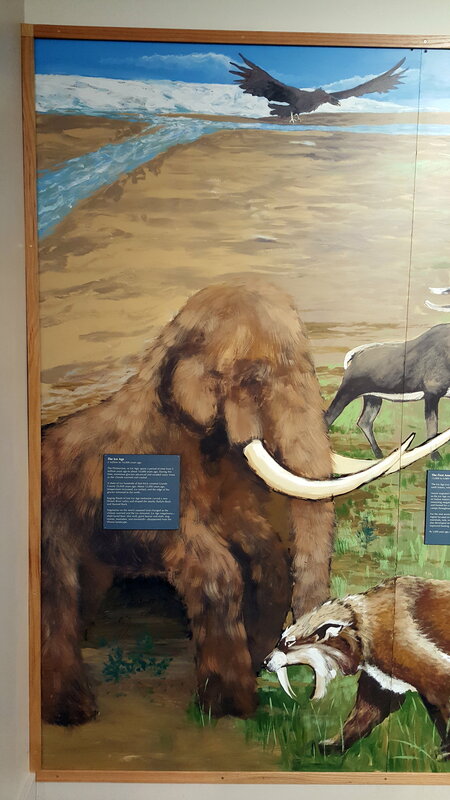 Some hunted remaining megafauna, but they mostly gathered wild plants and hunted mammals such as white-tailed deer for a living, and they resided in small temporary camps throughout the area. 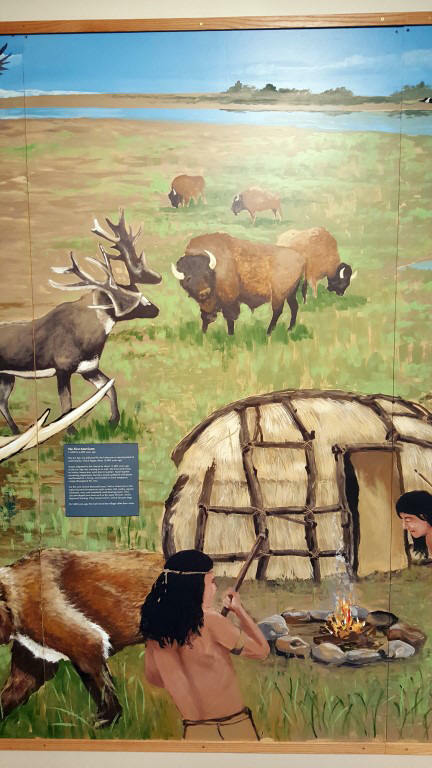 For the next several thousand years, Native Americans in the region focused on resources such as deer, fish, turtles, aquatic mammals, nuts and eventually seed-bearing plants. They also developed new tools such as the spear thrower, which improved hunting. They tamed wolves, which became dogs. By 5,000 years ago, they had moved into villages rather than camps. Native Americans had domesticated North American plants such as sunflower by 4,000 years ago. By 800 yeas ago, they also cultivated corn and beans from Central America. People still gathered and hunted, but plant cultivation changed life in many ways. They invented pottery and bow and arrow, villages became towns, trade expanded, leaders became more powerful, and religious expression flourished. The remains of these settlements are found in nearby fields. In 1673, the Marquette and Jolliet expedition paddled up the Illinois River and the Great Lakes. Europeans introduced new materials such as metals and glass and they promoted fur trade. But they also introduced disease and trade promoted promoted tribal conflict and relocation. 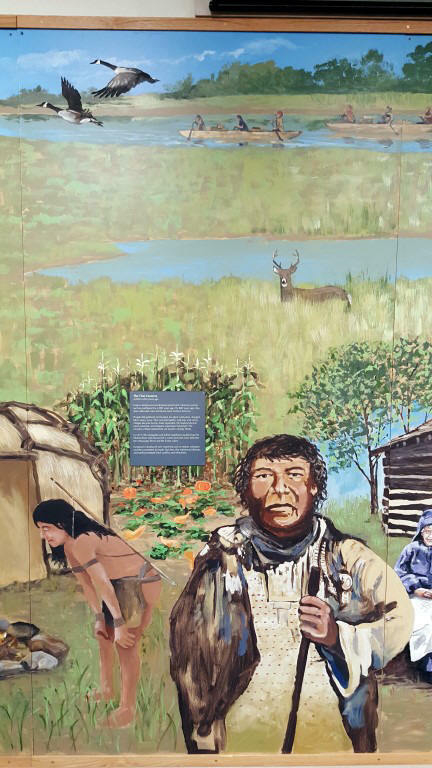 Thousands of Illinois, Kickapoo, Sauk, Fox and Potawatomi once resided in Illinois. By 1838 all the tribes around Goose Lake had moved west of the Mississippi River. 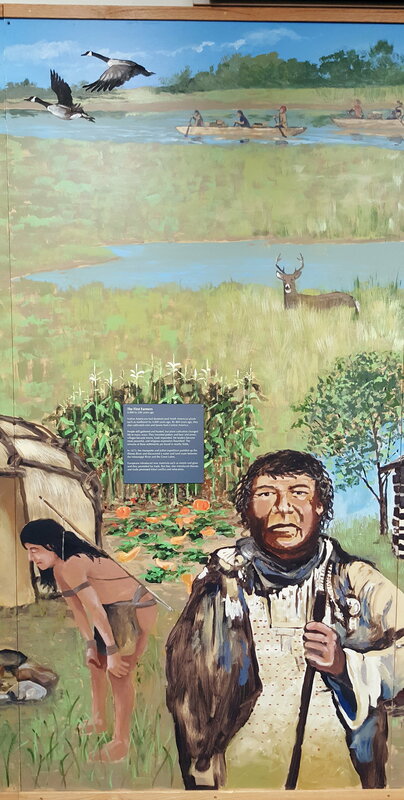 Shabbona, a prominent Ottawa/Potawatomi chief, beloved because he warned settlers about marauding warriors, later returned to the area and settled on 20 acres downstream from Goose Lake. He and his family now rest in Evergreen Cemetery east of Morris. A decade later in 1848 American farms, towns, and cities dotted the landscape along a ribbon of water--the Illinois and Michigan Canal. 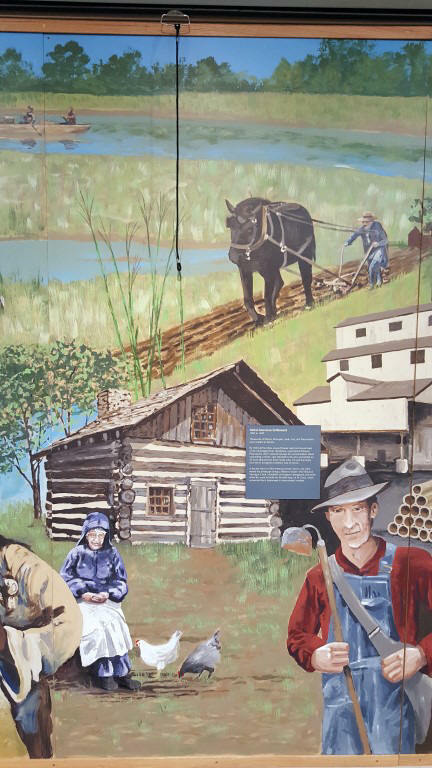 Hundreds of European immigrants and mules toiled for years to build the 96-mile-long I & M Canal, which connected local businesses to international markets. 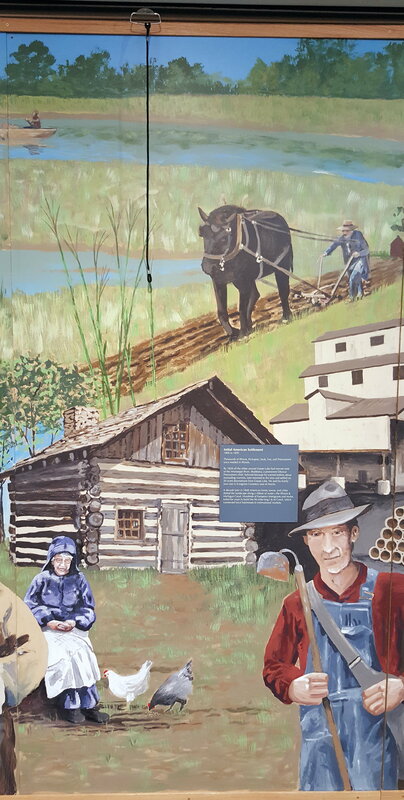 Drawing on resources near Goose Lake, new industries such as pottery and drain tile production grew and gave rise to a new community--Jugtown. Canal boats moved goods, livestock, and people from nearby farms and towns to the growing metropolis of Chicago. 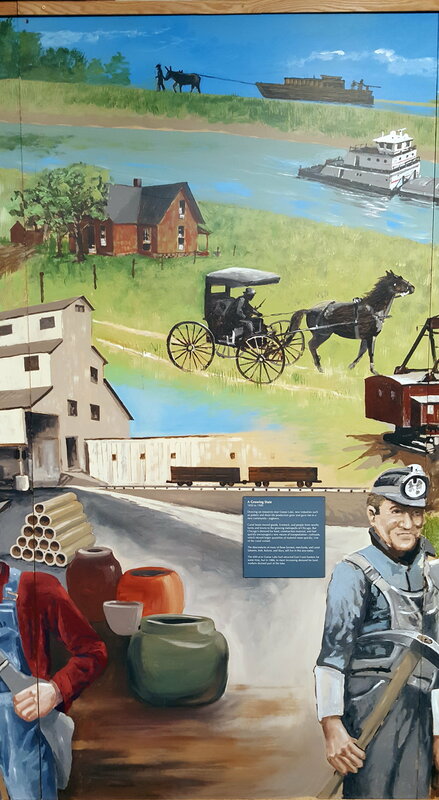 But Chicago's demand for food, construction, material, and fuel quickly encouraged a new means of transportation--railroads, which moved larger quantities of material more quickly. Use of the canal waned. The descendants of many of those farmers, merchants and canal laborers, Irish, Italians, and Slavs, still live in this area today. The 600-acre Goose Lake had attracted East Coast hunters for some time, but in 1886, to meet increasing demand for land, workers drained part of the lake. 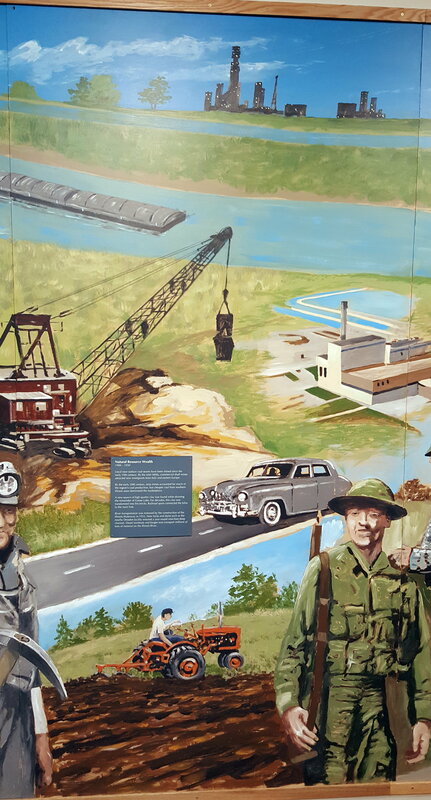 Local near-surface coal seams have been mined since the early 19th century. 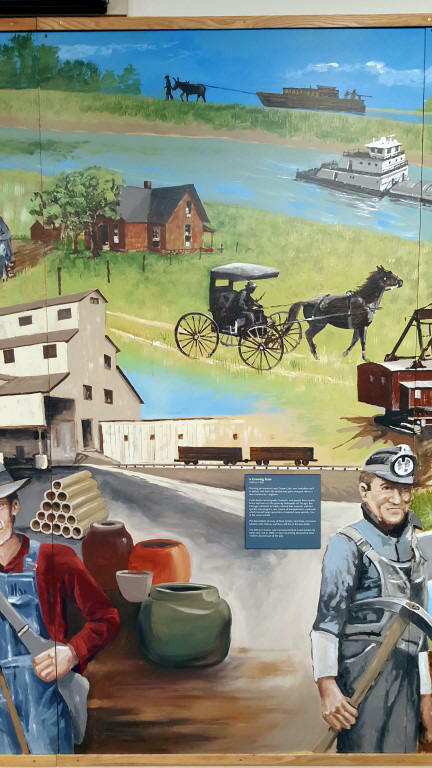 By the mid-1800s, commercial shaft mines attracted new immigrants from Italy and eastern Europe. 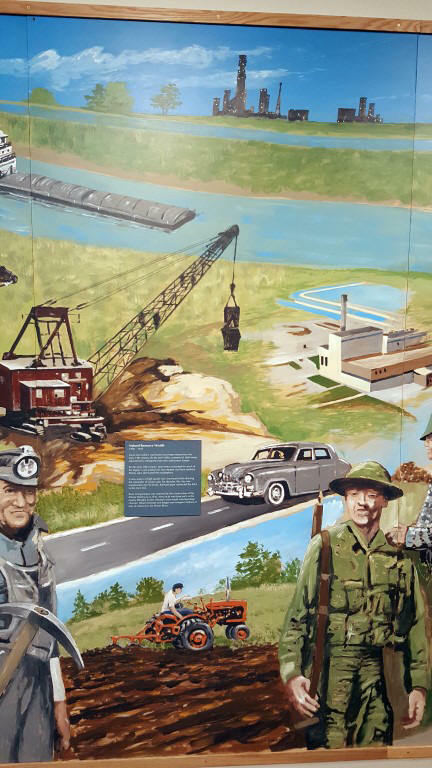 By the early 20th century, strip mines accounted for much of the region's coal production, but cheaper coal from southern Illinois soon dominated the marketplace. A new source of high quality clay was found while draining the remainder of Goose Lake. For decades, this clay was transformed into fire bricks. Railroad spurs connected the kilns to the main line. River transportation was renewed by the construction of the Illinois Waterway in 1933. New locks and dams such as the nearby Dresden facility ensured a year-round nine-foot-deep channel. Diesel towboats and barges now transport millions of tons of material on the Illinois River. 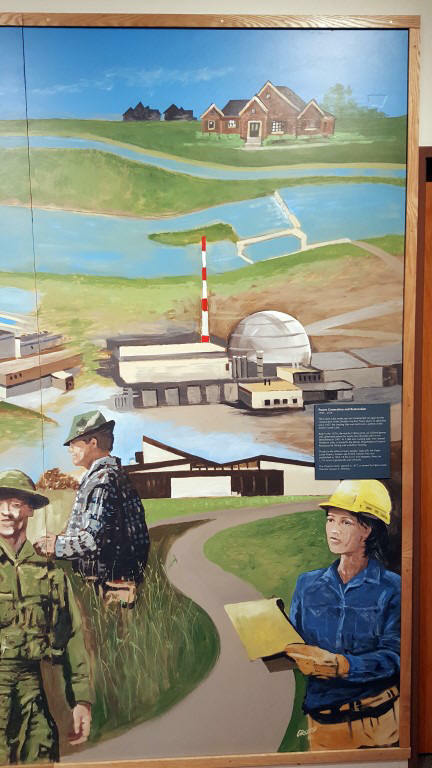 The Goose Lake landscape was transformed yet again by the construction of the Dresden Nuclear Power Plant. In operation since 1957, the cooling lake was built over a portion of the former Goose Lake. Built in the 1970s, the nearby Collins plant, an oil-fired power unit, generated power for nearly four decades until it was demolished in 2007. Its 2,000 acre cooling lake, now named Heidecke Lake, is leased to the Illinois Department of Natural Resources for fishing and waterfowl hunting. Thanks to the effort of many people, especially the Open Lands Project, Goose Lake Prairie State Natural Area was established in 1969. Of the 2,357 acre property, there are 1,513 acres of grasslands and wetlands. 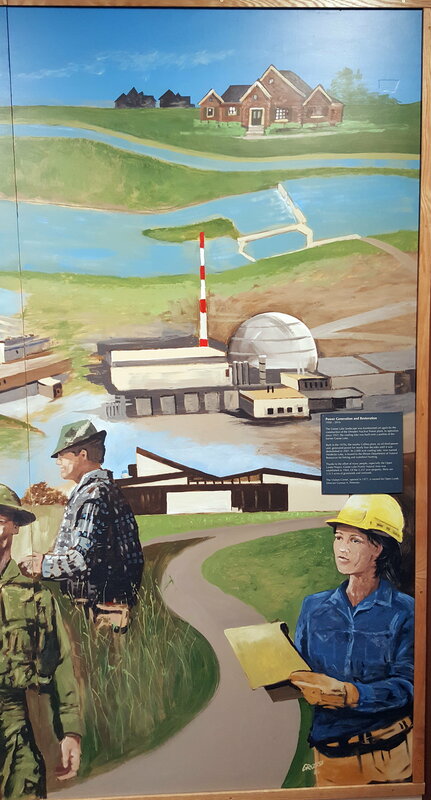 The Visitor Center, opened in 1977, is named for Open Lands Director Gunnar A. Peterson. For a photo of the full panel, click here.